Hand-painted by the phenomenal Laura Bennett! Brand new. Warrantied for life. The enclosure was painted in 2015 and kept in my private stock...but I finally decided to build it up and let some lucky person grab it. 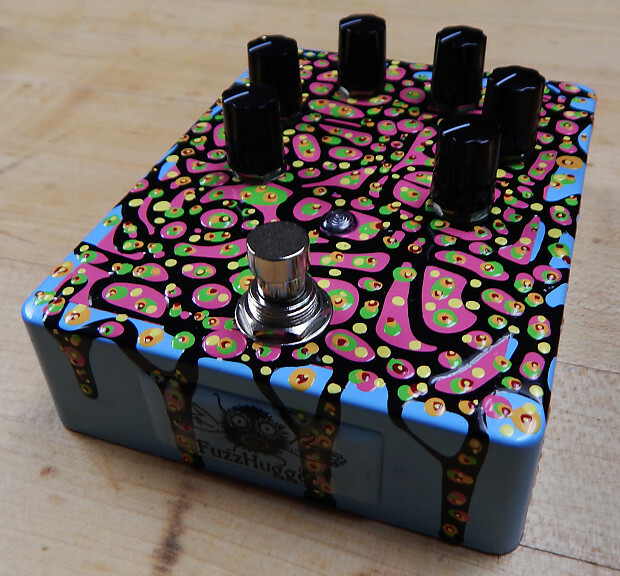 *Item is for sale on another platform...I do my best to keep inventory updated, but since I do sleep sometimes, this pedal is offered purely on a first-come,-first-serve basis. The Doom Bloom reimagines Algal Bloom with new controls, more lows, bite, mass, and more available headroom. It's stupid with lows and menace! Designed to hold together and retain clarity with lower tunings. 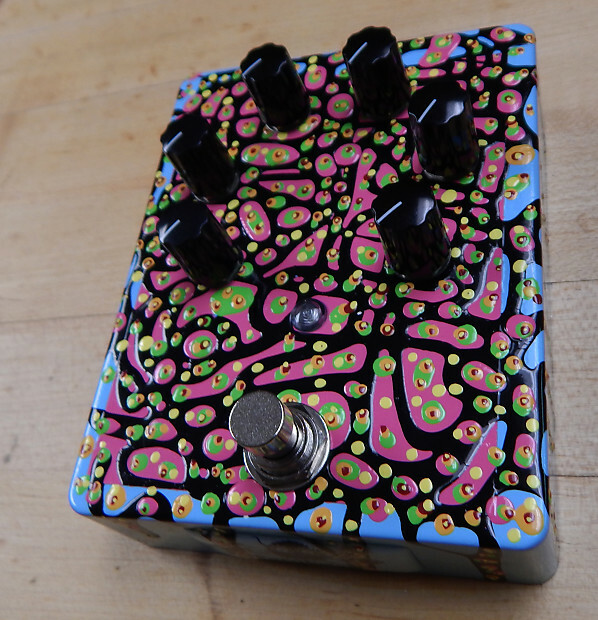 - Bloom is Bloom...it's fuzz+gain+definition. It increases gain and note separation. Rather than going mushy or washy, it holds together pretty nicely when cranked. It holds up well with lower tuning because of this. - Head is headroom. As you turn it right, headroom increases, making the pedal less clipped, but also louder and more open (favoring transistor fuzz over clipping diodes). So while turning right reduces how clipped it is, it also increases mass, for some big thunderous chords. Full-spectrum massive attack! - Body (Body and High work together). Body shifts a huge amount of lows in/out of your sound...but leaves your highs totally in tact. (Unlike Tone controls that make you choose either [bassy and dark] OR [bright and thin]). Body also adjusts fuzziness. - High lets you then control your highs, separate from Body. Set your lows and fuzziness where you want it, then adjust your highs. - Bias biases the first transistor gain stage (controlled by the Bloom knob), functioning as an additional boost and character control with massive boosting power!